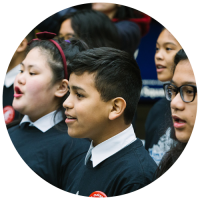 Become a music advocate, and help ensure a high-quality education for all our children. Music is basic to our development and expression, a disciplined endeavour valued by most cultures of the world. With the value of music education understood by so many and well-substantiated by research, why do we need to defend it? Learn about your school’s music program. Bring up the subject at Parent Teacher Association meetings and let teachers and administrators know how much you value having a quality music program. Our FREE resources online are easy-to-use tools to help you design and execute your action plan. Use them as a starting point in discussions with other concerned parents and community members. Effective advocacy will emphasize the positive and the best interests of students. Look for opportunities to publicize and promote student performances and their points of view with parents, at school board meetings, media and in the community. Not every administrator or policy maker has had the chance to experience the benefits of music education. Every voice counts. Consider forming a group to increase available resources and ideas. 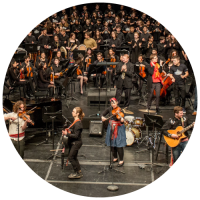 Groups can consist of parents, students, teachers, community members and local artists concerned about the status of music education. Let your local and provincial representatives know the benefits of quality music education programs and the need for ongoing investment. It’s been said that 10 letters to a public official or decision-maker will put issues on their radar, 25 letters will make them explore an issue, 50 letters can change a vote. Click Here for helpful tips policy maker contact links. Our website provides further helpful research and support. Numbers have power with policy-makers and the media so your participation in Coalition initiatives is very important. Why not participate in Music Monday on the first Monday of each May? Check out our customized advocacy guides. Your child has the right to receive a quality Music Education program. Here are a few things to consider when exploring your child’s music education program. How many hours per week does my child receive music instruction? Who is teaching music to my child? Is the teacher a qualified music educator? Read the document below entitled “General Description of a Quality Music Education Program,” and compare with what is happening in your child’s school. Talk to your principal about the importance of making a quality music education program a key component of your child’s education. Discuss the subject of quality music education at a School Council meeting. Form an advocacy group with other concerned teachers, parents, students and community members. 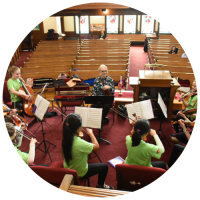 To help you identify the attributes of a quality music program, here is an excerpt of a general description that has been drafted in collaboration with the Canadian Music Educators’ Association. Every student shall study music in each grade in elementary school. In secondary school students will be able to choose from a variety of music programs which shall be available to every student in every academic year. The music education program shall be sequential and skill-based and include a wide range of activities leading to clearly defined musical skills and knowledge. The required music skills, knowledge and values shall be clearly articulated in a music curriculum that has been developed by qualified music educators. Every student shall be taught music by a teacher who is qualified to teach the subject. The music teacher should have a university degree, a teaching certificate, music education training as well as additional in-services and courses which qualify him or her as a music education specialist in the grades being taught. Every Board of Education shall have a music education specialist in the position of coordinator/consultant of music and adequate music consultative/resource staff to help maintain a high program standard in music education. All courses require the support of the principal and in the higher grades, the guidance departments. Every music education program shall stress creative musical experiences and the joy of participation. It is essential that musical sounds, activities, materials and repertoire be of high quality and lasting value. In all courses students will learn and express musical concepts using the language of music. All programs shall include a rich selection of styles and periods including authentic music from various world cultures. Adequate space, facilities, equipment and resources shall be available to support a balanced music education program in each school. Grade appropriate technology shall be made available for student learning. There shall be an adequate budget to support all instructional and co-instructional music activities. There shall be opportunities for students to participate in a variety of music performances in the school and the community throughout the academic year if this is appropriate. Music education programs shall include career education, where appropriate. Music must maintain its integrity in the curriculum and be taught for its own sake. In addition, music shall be used to enhance and support other curriculum areas. Advocacy starts in the classroom. Discuss with your students the benefits of music education. Have them reflect upon their learning frequently and articulate what they’re learning about themselves and others. Positive, Perseverance, Passionate – follow these three personal P’s. Focus on the students Center your approach on the potential loss of benefits to children. Advocate from their point of view and the benefits to them. Highlight their successes and find opportunities to showcase their talents in the school and surrounding community. Define your purpose. Develop a mission statement that captures the purpose for your music program that is visible to all who visit your classroom. Be prepared with background studies, research, readings. Be visible, in your school and in your community – use the media to advertise your cause. Form Advocacy Groups/Coalitions. You are not alone, many others including parents, community officials, local musicians and business leaders care about music education. Creating a unified effort can be powerful. Engage your leaders – including the administrator, school board members and school counsellors. Send invitations to concerts, ask them about how they feel about arts and music. Ask and listen without getting defensive. Invite the Principal into your classroom on a regular basis. Keep the Principal informed of what is going on in your classroom. Have administrators speak at every music concert. 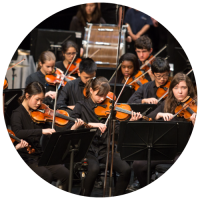 Get to know your feeder school(s) – organize joint concerts. Network with other music teachers in your school district – you will provide necessary support to each other. Invite the Media – share your student events and successes by inviting the media and submitting stories of your students’ achievements. PA Announcements – are a great way to share your students’ enthusiasm and music with the rest of the school. Include some information about the benefits of music education. Get to know your neighbours – i.e. local music dealer, community service clubs, industry leaders, etc… and invite them to concerts, music parent meetings, school board events or daily rehearsals. Know your local political officials – Send them your mission statement and invite them to engage. Make Short Videos – with the permission of your school and students, to highlight your program and upload to the internet to share. Educate Others by explaining the outcomes of learning music at staff, PTA and Board meetings. The benefits of music education on students’ academic success, quality of life, and psycho-social development have been well documented. However, there are still many schools across Canada where students do not have access to a quality music program. Some students are taught by non-specialist teachers, while others have no program at all. We need politicians like you to help ensure music education gets sufficient support and protection, especially when budgets are being drafted. All children and youth must be provided with the opportunity to develop lifelong skills that will not only enrich their growth but also increase their competitiveness in an economy that demands creativity. Understand the important role of music education in the lives of our children. Promote the importance of quality Music Education programs in all schools. Mandate Music Education as a core subject in school curricula. Provide sufficient budgets to enable a quality program that includes adequate resources, facilities, and qualified teaching. Support the importance of Music Education specialists. Make music a priority. Anything is possible if it is deemed important. Ask your music teacher for suggestions. Good music teachers know what constitutes a good timetable or will consult with colleagues to find out. Ask other administrators for suggestions. Why reinvent the wheel when the school down the road has already met the challenge? Provide all music classes with certified music specialists. Recruit and hire competent teachers, asking current music teachers for assistance in the hiring process. Coordinate class schedules to minimize conflict of music classes with other courses. Provide adequate funding for your music program. A budget should include funding for staffing, instruments, maintenance and repair, purchase of music, current technology and a teaching environment that is equipped with the furniture and teaching supports to enable the teacher to effectively do his or her job. Ensure that the music program is part of the entire school year. A good program creates a community within the entire school population and reaches into the local community. Show your support by attending concerts. Drop by classrooms/rehearsals the next day to talk with the students. This is where the learning is celebrated. Encourage music teachers to network with other music teachers. Often they are the lone music teacher in the school. Encourage and support music teachers to attend quality professional development opportunities (e.g. provincial Music Educator’s Conference (MEA) conference, Orff Association conference). Provide new/inexperienced music teachers mentoring opportunities with an experienced music teacher within the school and/or in other schools to help build the program and create teacher confidence and expertise. Connect your music teacher with the Coalition for Music Education website (www.musicmakesus.ca) and/or your provincial music education organization. These organizations provide an abundance of networking and professional development opportunities as well as resources. Get the guide for effecting change for music education in Canada. Are you interested in planning an event or fundraiser for the Coalition for Music Education in Canada to bring awareness to the importance of Music Education? Even if you don’t have experience with event planning, all you need is energy and enthusiasm to make it happen! You can organize talent shows, musical car washes, musical bake sales, or any other creative idea that highlights music education! Need some help getting started? We’re here for you! Call or e-mail us, we’re happy to talk about your fundraising ideas and can provide you with a number of different resources (including films, flyers designs and other helpful information) to help you plan your event. We want to hear about your event! Share you idea with others, help inspire our community. Please be sure to submit a blog post, with images, video and your story about why you did an event and how it impacted the people around you.